NASA’s Johnson SpaceCenter is located southeast of two highway loops that encircle the city ofHouston. The outermost highway is known as Beltway 8. While the NEEMO 16 crew conducted training April 17-20 outside this beltway, our upcoming Junemission is focused on simulating a mission insideanother beltway – the asteroid beltway! During training week, thecrew assembled face-to-face for the first time and learned details about NearEarth Asteroids (NEAs). Future missions to these asteroids could help us learnmore about deep-space exploration and the beginnings of our solar system.Depending on the target NEA composition, future missions could also prospectand mine resources; and develop mitigation options for NEAs threatening planetEarth. We also learned about thespacewalk tools we will be using during the mission and then practiced usingthese tools on the Active Response Gravity Offload System (ARGOS). After taking a tour of the SpaceExploration Vehicle (SEV), we flew the asteroid simulator. While there are similarities betweenflying a plane, a helicopter, a shuttle, and a Space Station RoboticManipulator System (SSRMS), flying around an asteroid is a unique experience.Asteroids may have non-uniform gravity fields and erratic spin rates – not to mention the deep-spacedebris and sub-optimal lighting – all conditions that will challenge even thebest pilots! During the rest of trainingweek, we learned about the Aquarius Laboratory and what daily life will be likeliving in the underwater habitat for (almost) two weeks. Communication delays will beincorporated to simulate living near or on an asteroid. Each day, there will be two spacewalks,and the beginning of the mission will focus on working on a NEA that astronautscould tether to, while the second half of the mission will involve submersiblesthat will simulate the SEVs and working on an asteroid that is less cohesive. Often times we thinkabout the solar system existing beyond us or outside of our “beltway,” but inreality, we live in a dynamic solar system, where the traffic, including NEAs,continues to be better understood. 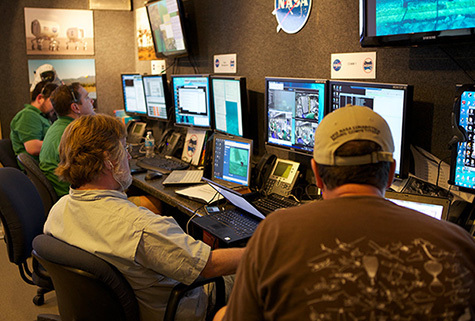 NEEMO16 will provide more data on how to work and live near NEAs. To learn more about the NEEMO 16 mission, visit: www.nasa.gov/neemo. 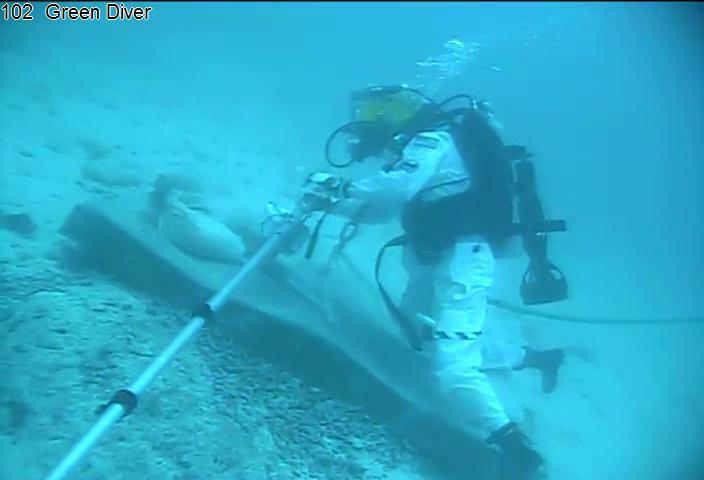 Image: One of the DeepWorkers that Dr. Love would have piloted during NEEMO 15. Welcome back to Dr. Love’s Underwater Blog! For readers new to the blog, I posted the first installments in March 2010, while I was in Vancouver, Canada learning how to pilot the DeepWorker submarine from the experts at Nuytco. I wrote more entries in July 2010 from Pavilion Lake, where I spent a week driving submarines and serving as support crew on the chase boats while we made surveys, took photographs, and collected samples to try to understand the strange coral-like “microbialite” growths on the bottom of the lake. Pavilion Lake was a bizarre and beautiful environment to explore by submarine, with near-freezing crystal-clear water, steep underwater slopes forested with sculptured calcium carbonate knobs and towers, and mathematically flat basin floors carpeted with snowy white calcite fluff. This year I was planning to return to the cozy cockpit of the DeepWorker to support the 15th NASA Extreme Environments Mission Operations (NEEMO 15) at the Aquarius underwater habitat near Key Largo, Florida. Fellow submersible pilot Ricky Arnold and I made it as far as the operations base in Key Largo, but then the plan changed. This happens commonly in field operations, but it’s always exciting when in happens. In our case, the culprit is Hurricane Rina, which is rapidly strengthening in the Caribbean Sea east of Belize. It’s not a threat to us right now, but the forecast shows it heading this way. Because it takes several days to safely get the aquanauts to the surface (without subjecting them to the risk of decompression sickness) and secure all the boats and other assets that support NEEMO, the folks in charge had to make a decision this morning. They decided to take the safest course of action. So no DeepWorker driving for Dr. Love this trip…but the Underwater Blog can go on, because two days ago I had a chance to scuba dive at the habitat. Boy, was that ever different from Pavilion Lake! Warm water, substantial current to swim against, swarms of colorful tropical fish, and every solid surface encrusted with corals and sponges. We also had a chance to poke our heads into the habitat and chat with the aquanauts. It’s a very strange experience to swim 50 feet down under the sea, then poke your head up into air and talk to folks wearing street clothes. Since Halloween is coming soon, we said “Trick or treat!” and explained that we were dressed as scuba divers. The aquanauts thought that was silly, but gave us candy anyway. The following day (yesterday), the NEEMO team was still operating according to the planned schedule, and I had the opportunity to work as a CAPCOM on board the support ship for that day’s DeepWorker operations. At Pavilion Lake, we launched and recovered the subs from a barge made from two big rectangular steel floats, with a gap between them and an overhead chain hoist for raising and lowering the subs. This ingenious setup worked great, and had the advantage that it could be easily broken down into components small enough to transport by truck to a remote mountain lake and to place in the water using a mobile crane. At NEEMO we operate on the world ocean, which means we can use oceangoing ships. In our case, we have the great fortune to be able to use the Liberty Star, one of the two small ships that NASA used for thirty years to go out to sea after each Space Shuttle launch, find the two solid rocket motors that separate from the stack two minutes into flight and parachute into the ocean below, and tow them back to port so they could be inspected, taken apart, refurbished, re-filled with solid propellant, and used again to boost another Shuttle toward orbit. What a treat to work aboard such a historic vessel! Liberty Star has a large crane on the aft deck that makes light work of hoisting a DeepWorker in and out of the water, even in 3-5 foot seas. It has an air-conditioned bridge from which we tracked the subs and operated the equipment that let us communicate with them. And it has a full galley serving three square meals a day. It made a spectacular platform for supporting the submarine operations. It also made a great observation platform. At one point a school of flying fish came by, gliding from wavetop to wavetop. Another sight unknown at Pavilion Lake. So that’s all for the Underwater Blog this trip. But the next time NASA sees fit to put me underwater again, I’ll be ready to share the experience. Image at right: Steve Squyres of Cornell uses a small boom for translation activities. Today was Day 4 of our mission and it was a challenging one. As usual,the action was centered around the “EVAs”, or extra-vehicular activities inNASA parlance – our simulated space walks. We had two different kinds of activities in today’s EVAs. One of themwas very slow, very methodical, and very effective. Imagine a long telescopingpole – we called it a boom – with big heavy magnets on each end. 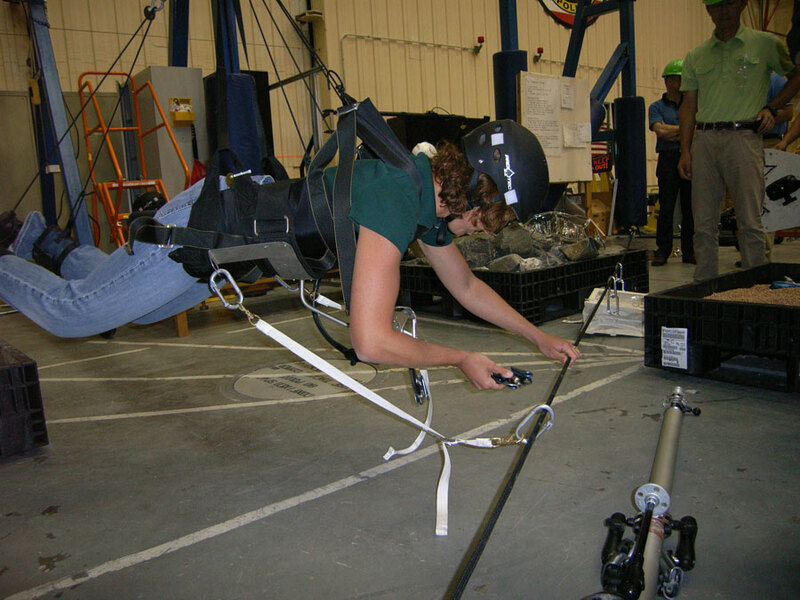 We used thisboom to get around on the simulated asteroid surface (i.e., the sea floor),moving like an inchworm. It goes like this: Fasten both magnets to anchor points on the surface.Unfasten one and move to it to a new anchor point. Fasten it. Unfasten theother one and move it to a new anchor point… and repeat as necessary. It wasslow, but it got us to where we wanted to go pretty reliably. Once we arrived at our destination, the boom was great. It’s hard to dothings like hit a rock with a hammer in zero-g without going flying. But withthe boom solidly in place, we could wrap our legs around it and whack away atthe rock pretty easily. So a boom could be a good technique for geologists touse to get work done on an asteroid, I think. The other part of the EVA was totally different… jet packs! We hadbattery-powered thruster packs on our backs that we could use to move veryquickly and easily from one place to another. And yeah, I have to confess, itwas every bit as much fun as it sounds like it was. Quick, easy, and very cool.Problem was, once we arrived at our destination with ajob to do, staying in place was a lot harder. Sometimes the best answer to a complicated problem is to use somecombination of techniques. So one way I could see this going might be thatastronauts would use jet packs to move long distances over an asteroid surface,and then a boom for smaller motions and getting work done. Or maybe they’ll use something completely different! It’s only Day 4 ofthe mission, and we’ve got a lot more techniques to try… so we’ll see. 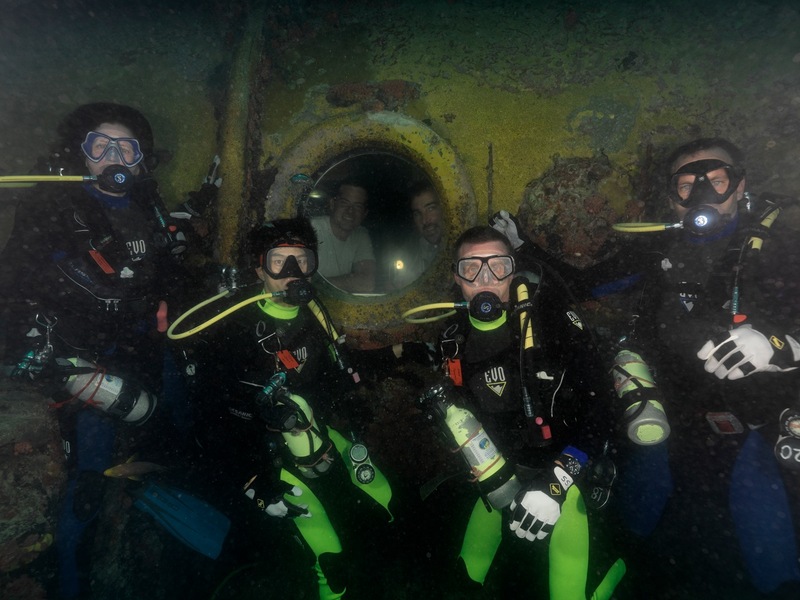 NEEMO 15 – Splashdown Day! Today was splashdown day. As stormy as the weather had been for the last five days, today was sunny and beautiful. And, thankfully, the seas were calm. Because we had to delay our start of the mission, there were more habitat checkouts than usual to be completed before we could get to work. Last weekend before the storms hit, the umbilical to Aquarius was removed to ensure that it was not damaged. The umbilical provides the air and communications to the habitat and runs from the habitat up to a giant buoy on the surface. 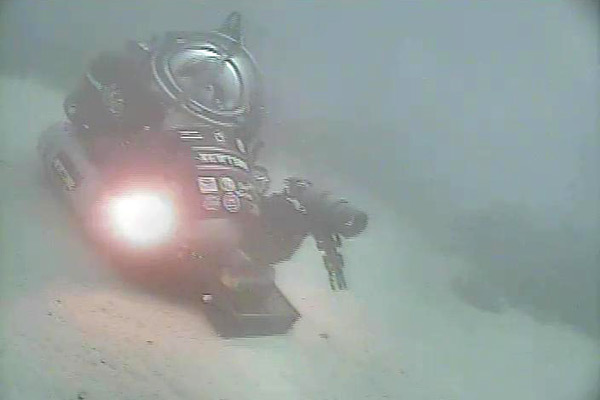 First thing this morning support divers went out to reconnect the umbilical and our hab techs, James and Nate, went inside Aquarius to start getting it configured. Early afternoon, the rest of the crew scuba’d down and entered their new home. After an orientation and safety briefing, the crew was put to work stowing gear and setting up the communication system. Once everything was ready to go, the sun was setting and it was getting dark outside the habitat. But, our day was not done. The crew had to do some familiarization dives to get acquainted with diving on a helmet connected to the habitat. David and Steve went out first. They spent about forty-five minutes walking around the area where we will be working our first excursion in the morning. After that Tak and I went out. It was nearly 9:00 p.m. by the time we were finished. So, we grabbed a quick bite to eat and then wrapped things up for the night. All and all, a very interesting day. It is quite strange to think that we are in a can that is at the bottom of the sea. And, even stranger to look out your windows and see fish! Author NASA Testing for Human Space ExplorationPosted on October 21, 2011 March 19, 2013 Categories UncategorizedTags Analogs, NASA, NEEMO3 Comments on NEEMO 15 – Splashdown Day!